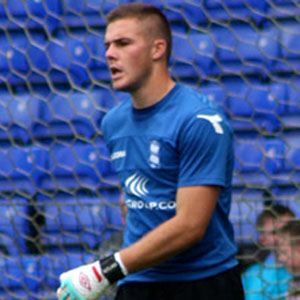 Goalkeeper who played for Birmingham City from 2010 to 2013 and joined England's national team in 2012. He played two years in Birmingham City's youth league, and made his professional debut a week after his 17th birthday. He was the first choice goalkeeper on the 18-man Great Britain team for the 2012 London Olympics. He grew up in Bristol, England. Craig Bellamy was his teammate on Great Britain's national team in 2012.